The Global Peace Index report for 2016 has been published recently. It was prepared and published by Institute for Economic and Peace (IEP). The IEP is an independent and non-profit agency. It has ranked Canada as one among the most peaceful countries in the world. At a time when the global peace is getting affected every year and violence is costing lives and property across the world, Canada is one among the countries, which still sets an example to the world in terms of maintaining the peace, safety, and prosperity of the country. As per the report, Canada’s institutions, infrastructure, approach etc. together form a peaceful society to live. The Violence containment costs of Canada were also very low, i.e. 2% of annual GDP. The top five countries in the Global Peace Index list are Iceland, Denmark, Austria, New Zealand, and Portugal. 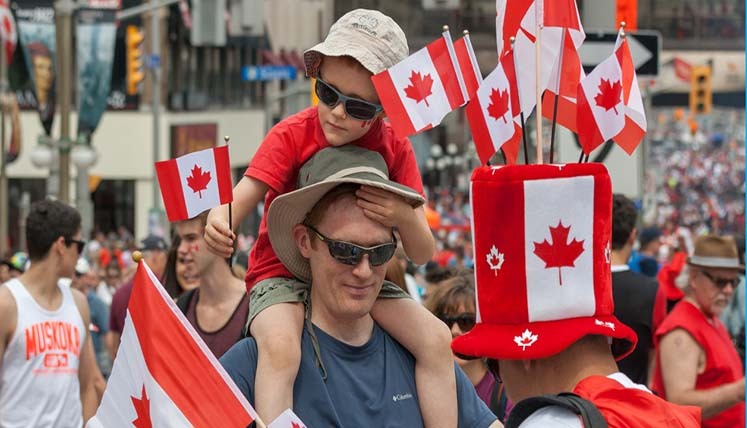 Canada is known as the best country for the people looking to immigrate to or settle overseas with family. Canada is a home to people of different communities, races, religions, and ethnicity; still the people here live together with peace and harmony. Canada is also an advanced nation with all the key facilities, top infrastructure, world class cities, excellent education system, fantastic social security benefits, beautiful landscape, fast growing industries, low unemployment rate, high human development index, and high standards of living. There are thousands of people apply every year for immigration to Canada via its different immigration programs, i.e. Express Entry System, QSWP, and Provincial Nominee programs, etc. If you wish to move to Canada to settle their permanently with family, you can coordinate with a registered immigration consultancy for Canada to prepare your file urgently. How Visas Avenue can help you get PR Visa in Canada? If you wish to settle in Canada, this probably is the best time to apply. There are various key Canadian immigration programs open at now, i.e. Quebec Skilled Worker Program (QSWP), Saskatchewan Immigrant Nominee Program (SINP), etc. If you contact to the Visas Avenue Case Manager at now, you will get thorough assistance and support to apply in the key immigration programs of Canada. It will certainly boost your chances of securing PR visa in Canada. To start the process for immigration to Canada, you can simply call the Visas Avenue certified immigration experts at, 011-48447777 (Delhi), 080-46668222 (Bangalore), or 040-42467777 (Hyderabad). Alternatively, you can mail your queries to info@visasavenue.com. Why Canada is the best place for Immigration from Hyderabad? What is the easiest way to get PR in New Zealand? What are the benefits of Applying Canadian PR through a Visa Consultant?